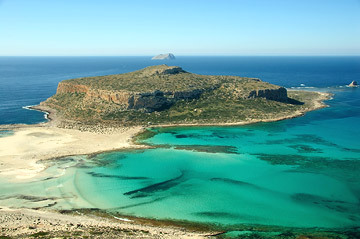 The beautiful and historic city of Heraklion in Crete is the administrative capital of the island and boasts of varied sights and attractions which are sure to keep tourists and travelers entertained throughout the duration of their stay here. The island's warm and temperate Mediterranean weather often remind seasoned travelers of holidays spent in their luxurious Cape Verde hotels and guesthouses which shares a lot of characteristics with the lush Cape Verde islands off the West African coast. Heraklion is a bustling port which features ferries and trips to island paradises nearby including Mykonos, Rhodes, Paros and beauiful Santorini. Museums showcasing the rich works of art and various remnants of the glory of ancient Cretan civilizations can also be found here along with festive markets, imposing churches, prisitine beaches and locations which offer panoramic views of the Old Harbour. *The Museum is still closed for renovations but a small temporary location is open. There is a Summer Festival of music and other performances in the open air theatre and public gardens. Call 28210 870978 for more information. 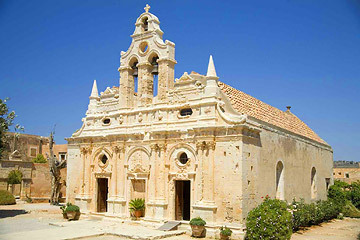 Since 1987, Rethymno has been holding a Renaissance Festival each summer, highlighting both Cretan and European Renaissance periods with plays, musicians, street performances and exhibitions. Sitia has two important Festivals during the summer: Sultana Festival in late August (lots of wine, song and dance) and the Arts Festival of Kornaria from July till mid August, with concerts, theatre, readings and other cultural events. 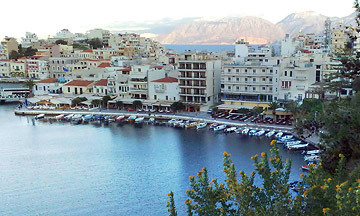 In Agios Nikolaos there is the Lato Cultural Festival from end July till early September.